With black crystals set in gold tone, our Deco Drama Jewellery set captures the elegance of the 1920s with sensational drop earrings and coordinating geometric pendant. Luxuriously glamourous, our Deco Drama Jewellery Set is perfect if you adore the chic angular lines of elegant Art Deco accessories. 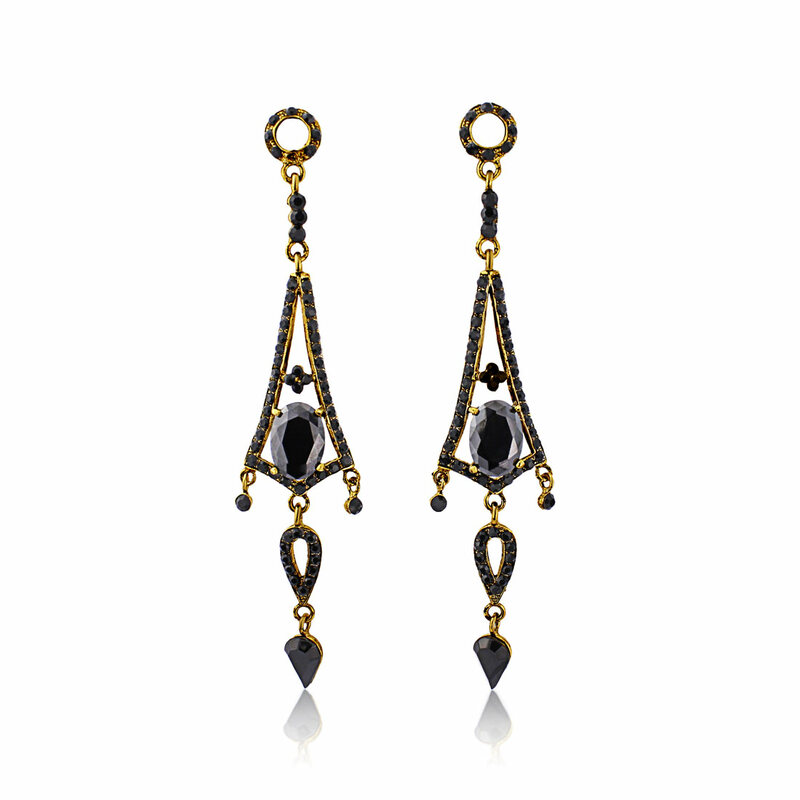 Featuring long triangular earrings and coordinating pendant, deepest jet Austrian crystals shimmer against antique gold for a look that is deliciously decadent. A fabulous bridesmaid set to accentuate a 1920s wedding theme or add an Old Hollywood vibe to black bridal party dresses, your best girls will adore wearing this duo long after your special day. With such vintage flair, Deco Drama is sure to become your go-to jewellery for every occasion that calls for a touch of elegant glamour. Whether you opt for the earrings alone to complement a classic LBD or decide to wear both pieces to add a divine finishing touch to a gorgeous gown, this dramatic duo each make a style statement.